New York Fashion Week made quite the splash on Twitter. On September 1, 2017, there were 2,000 impressions regarding “New York Fashion Week” or “#NYFW” on Twitter. New York Fashion Week went from September 7 to September 13. On the first day it made 46,000 impressions, it peaked on September 10 with 141,000 impressions and on the 15th, two days after it ended, the number of impressions declined, but was still at 25,000. The most retweeted tweet from New York Fashion Week wasn’t from @NYFW itself, a designer, or a model like many would expect. It was actually from a fairly unknown singer and earned over 4,000 retweets and nearly 12,000 likes. The influence of New York Fashion Week goes far beyond the United States. Following New York, there are weeks in London, Milan and Paris, so people in those countries in particular will be looking to see what designers are doing. The majority, 51.1%, was, unsurprisingly, in the United States. The following countries were much more scattered, but the U.S. was followed by the United Kingdom (6.7%) and France (5.7%). The event was still discussed across the world in countries such as Brazil, Thailand and South Africa. The word cloud allows us to visualize the most popular terms used by tweeters during New York Fashion Week. This week of fashion was for designers to present their 2018 spring/summer collections and, as you can see, “ss 18 show” was one of the top trends. Others that stand out include “york fashion week,” “swae lee,” and “savage star.” Some of the smaller trends, like “nicki minaj” and “ralph lauren” allows us to see who some of the big influencers and more talked about shows. 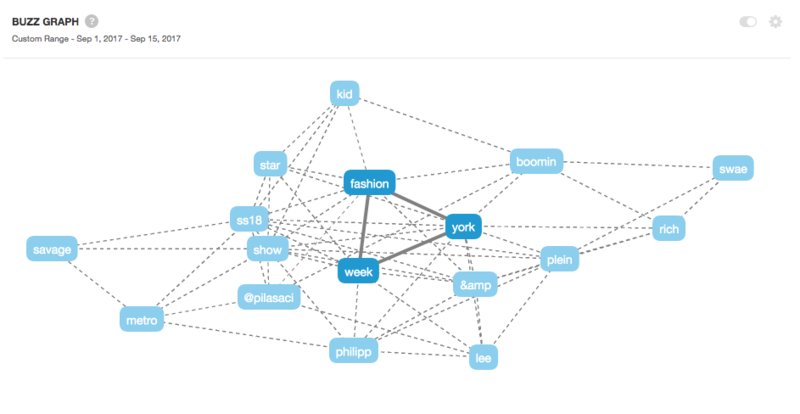 Besides the obvious words associated with New York Fashion Week, such as “york,” “fashion” and “week,” we can see other words that created a buzz were “star,” “@pilasaci,” “ss18,” “phillip” and “lee,” which can give us insight into popular shows and designers. I really enjoyed reading your blog post. 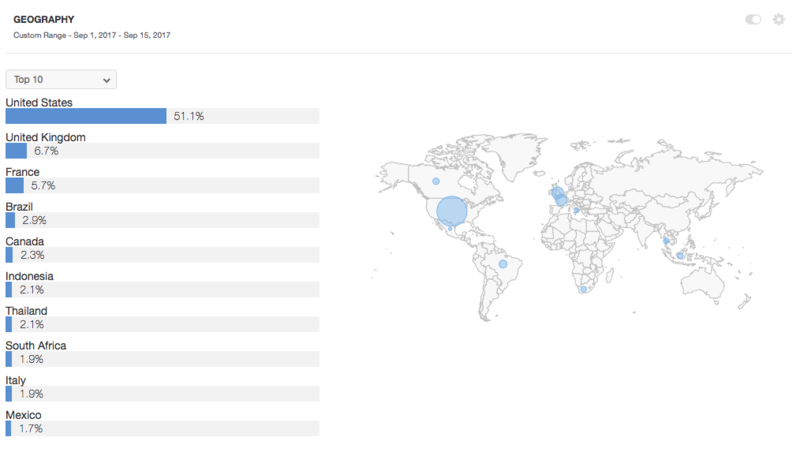 It proved that Sysomos is a great tool to find the most trending topics and influencers around one main topic. Thanks you for this! Cool topic. I also think it’s interesting that the most popular tweet was not from a huge account. I also kinda love how ‘savage’ showed up on your word cloud. I wonder what that was in reference to!